Quick Overview: Ring Joint Gaskets are widely used in oil, petroleum and chemical process fields. 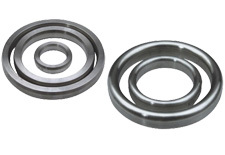 Precision machined, metallic sealing rings suitable for high pressure and high temperature applications. 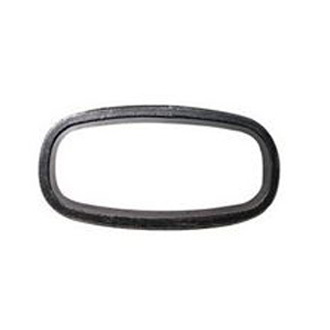 RGS ring joint gaskets are manufactured in accordance with API 6A and ASME B16.20 specifications and come in various profiles.There are four basic profiles: Oval type R, Octagonal type R, RX and BX. Standard style R ring type joints are manufactured in accordance with both API 6A and ASME B16.20 size and ratings. Available in both oval and octagonal configurations, These gaskets are used in pressures up to 10000 PSI. Oval Ring Joint Gaskets are for oilfield and process industry duties. Standard style R ring type joints are manufactured in accordance with both API 6A and ASME B16.20 size and ratings. Available in both oval and octagonal configurations, These gaskets are used in pressures up to 10000 PSI. Octagonal Ring Joint Gaskets are for oilfield and process industry duties. RX is a pressure- energized adaptation of the standard Style R gasket. The modified design uses a pressure - energized effect that improves the efficiency of the seal as the internal pressure of the system increases. BX pressure energized gaskets are manufactured in accordance with API 6A and are designed for use on pressurized systems up to 20,000 PSI. on both the inner and outer diameters. All BX gaskets incorporate a pressure balance hole to ensure equalization of pressure that may be trapped in the grooves.